What is a rope park? Rope park is a new kind of outdoor activities, successfully combines sports, entertainment and positive emotions. Elements of tourist rope crossings, various rope contests, oblique crossing – trolleys, air bicycles, pendulums,swings, nets, suspension bridges and more another in one place. This everything goes well with fun outdooractivities in the open air. Sometimes, due to the use of ropes and cables, the rope set of attractions is called rope park (Rope Park, RopeCourse). This type of recreation is very popular worldwide and is gaining more and more fans. The use of rope park. Rope park is fascinating by gathered together a variety of trails for every age, taste and level of athletic training. This is a universal sport attraction that includes a children’s rope park at a low altitude, high ropes course for thelovers of active recreation, recreational facilities at a height, and even children’s tree houses. Rope park can becreated in practically any area, and the site, regardless of the terrain, the size, and other conditions. Low ropes course for kids is an ideal children’s climbing frame, where the child learns to pass the rope contests at asafe height, through the game to overcome their own fears without any risk. High ropes course is a park of extreme attractions, which allows to overcome the obstacles of varying difficultyconsidering height. Using professional belay systems can provide maximum safety when passing routes. 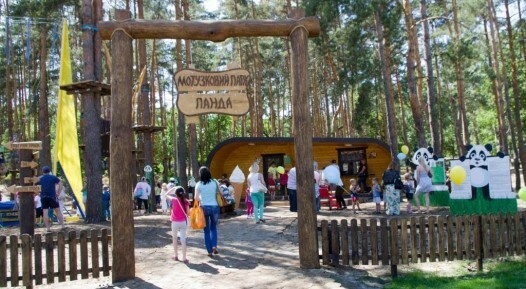 Rope park attracts visitors to sports clubs, tourist bases, country hotels, ski resorts and shopping centers. Teambuilding and rope course, rope training and usual corporate holiday are very easy to organize in a high-ropescourse. 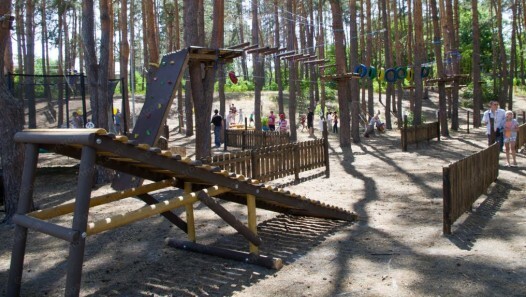 Active family vacation in a ropes course is very popular and becomes a good tradition. Project of future rope park depends on the type of supports (trees or artificial supports) and requires careful preparation. 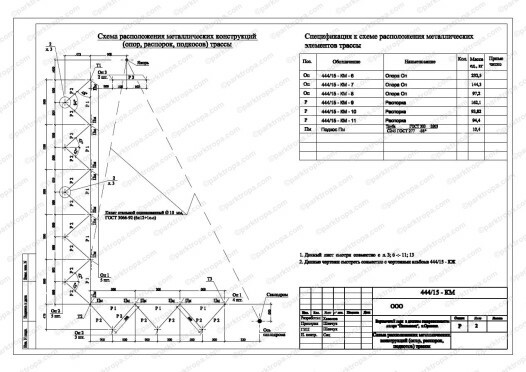 Our specialists arelicensed to design objects of IV-V categories of complexity and have been developing preliminary and working draft of the future rope park. We carry out a full range of activities for the further processing of all project documentation and approvals, including a ride passport for therope park. If necessary, we carry out supervision and installation supervision. The construction of rope park. During the construction of rope park we use European standards and recommendations of European Rope parks ERCA. Existing ERCA standards are updated annually on the basis of international experience, research, specialized seminars and conferences. Each year, we improve our achievements and innovations, develop and apply new environmentally friendly materials, inventing new rope competitions and original design for our parks and attractions. Installation of the high-rope park we hold as soon as possible. Safety rules during the execution of work at height are strictly controlled andare carried out by our qualified personnel, according to NPAOP 0.00-1.15-07 instructions. 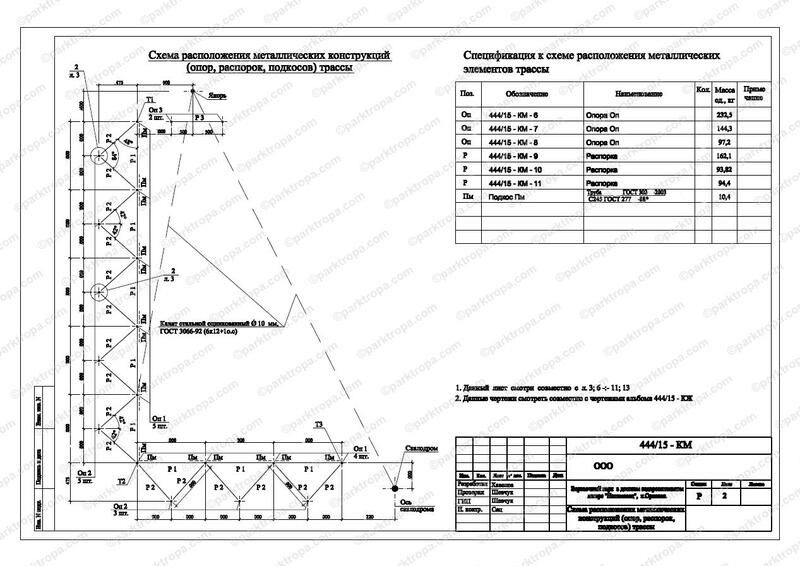 After installation, we issue a technical certificatefor the ropes course in accordance with regulatory requirements. Period of continuous exploitation of built rope park is 10 years. During the first year the rope park is serviced by our specialists in accordance with the guarantees. Before operating in a new season, we conduct an audit of the fastening elements and safety mechanisms. Mounts on the trees are weakened in early spring for a full growing season. Rope Park – Building in the subkey. Passport of attraction. Construction of Rope Park “turnkey” from company “TROPA” is a full cycle of design, manufacture, installation and maintenance of adventure rope park with a full package of necessary documents. 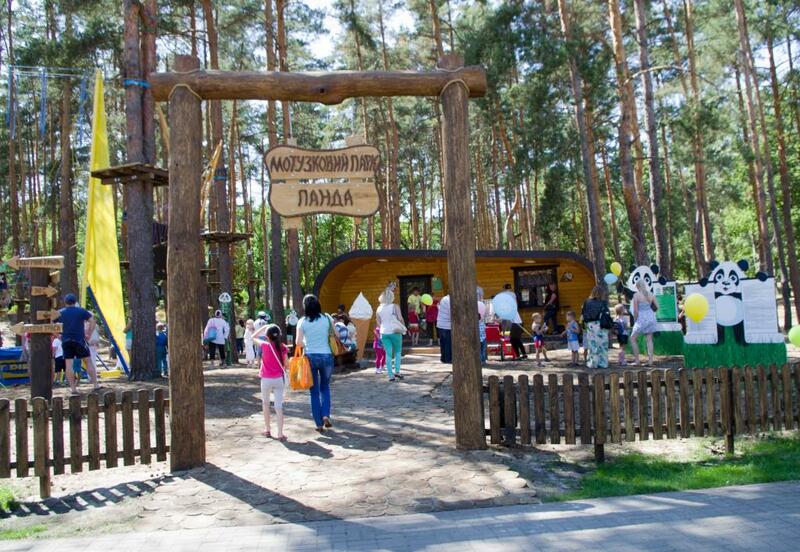 Today we humbly claim to the title of the best manufacturers of rope parks in Ukraine. We have the most flexible pricing, the optimal ratio of price / quality, attentive service and caring for built parks. You can buy a ropes course or order its installation in the CIS or any EU country. We value each of our clients and each Rope Park built by us! Build a ropes course with us!